The concerts were often visited by soldiers and had "a very tragic undertone, thousands of soldiers listened to music for the last time in their lives. It has always been frightening when departing troops came to a concert in closed groups ... "(Swarowsky). 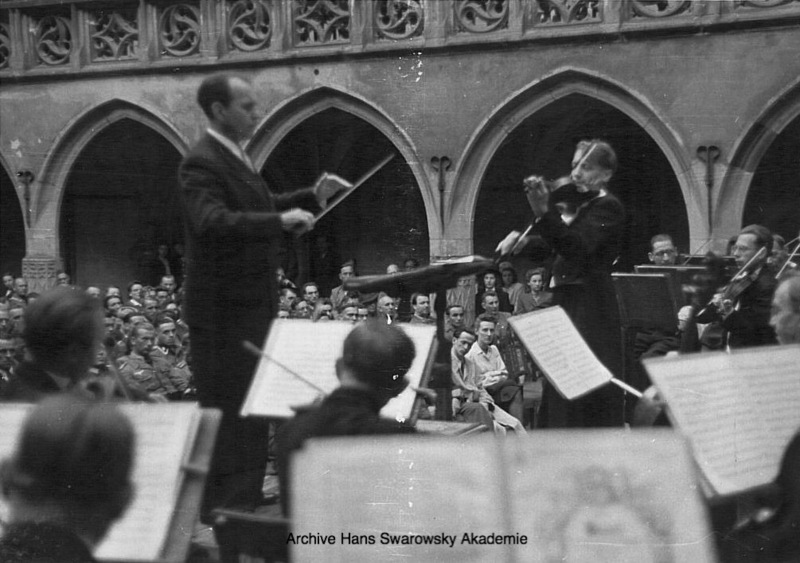 It's noteworthy that Swarowsky managed on several occasions to have all official Nazi signs removed from the concert hall and also programs. He also conducted concerts (illegally) for Polish audiences. 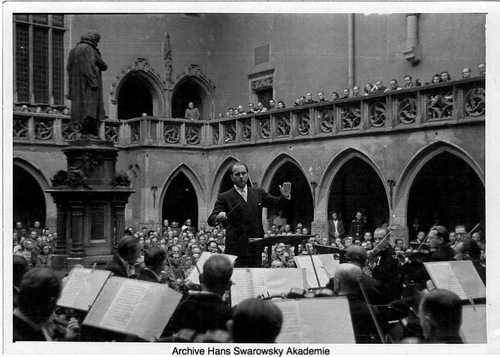 Swarowsky conducted the last concert in Cracow on 14th January, two days before taking the last train ouf Cracow together with the Pfitzner family. The Red Army occupies Cracow on the 17th. The solo part on this occasion is played by concertmaster Fritz Sonleitner.